How do we hold the tension between the opposites in today’s world, stay open to uncertainty, and cultivate curiosity about the unknown? This retreat offers an opportunity to illuminate your own voice and path – drawing from your inner landscape so vital to the individuation journey. Rooted in moving and witnessing practice, we will nurture creativity and further clarity through the exploration of gesture, touch, sound, words, song, art, dreams, and nature. Discovering ways to enrich yourself can deepen the centering, self-reflective capacities and compassion that allow you to find your place in the world. We see, experience, and are moved by each other. We also tend to project onto ‘the other’ when there are differences. Witnessing is the practice of seeing, being seen; hearing, being heard; and opening to other perspectives – developing more patience, respect, and comfort with paradox. Drawing from the work of Jungian Theory, Authentic Movement, BodySoul® Work, somatics, dreaming, drawing, voice exploration, and writing, we will explore the individuation journey in relation to bodily experience in the process of healing and transformation. Together, we can learn from and support each other in building a resourceful community. Early Bird Price: $1,490 USD with paid by January 15, 2019. Full refund minus $100 fee if cancelation is by May 1st, 2019. After that date tuition will not be refunded, however tuition can be applied toward a future workshop within a year. Accommodation and meals: 76 Euros/ night for triple, 82 Euros/ night for double (6 nights) plus tax, paid directly to the retreat site upon arrival. Enrollment is by application only. Deadline is April 10th, 2019; space is limited, early enrollment is advised. Apply online or download the application and email to Tina. 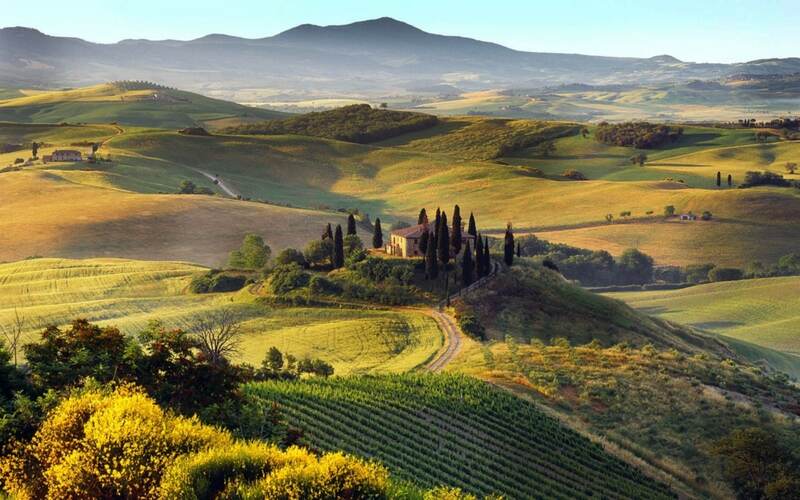 Please put “Tuscany Retreat 2019” in the subject line.